Dr. Adley was born and raised in Louisiana. He obtained a degree in zoology and a minor in chemistry from Louisiana State University in 1995. He graduated from the Louisiana State University School of Veterinary Medicine in 1999. He and his wife, Brigitte, moved to Upstate in 1999. 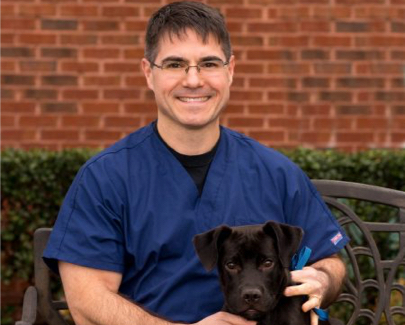 He initially worked at Inman Animal Hospital for approximately 8 years. He did some relief work for the Animal Emergency Clinic prior to taking a position in Admissions at Upstate Vet. His interests include working out, DIY projects around the house, photography, and spending time with his wife and daughter.